Experience our 3 days Murchison fall Camping Safaris Uganda with Kjong Uganda Safaris for your life time adventure in Uganda as you Discover Africa. 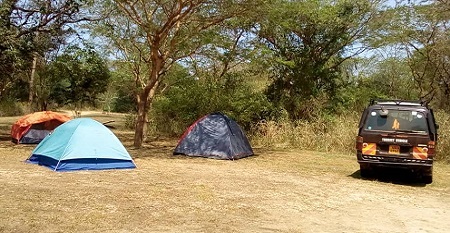 Our Camping Safaris in Murchison falls national park Uganda’s largest National Park, the safari will take 3 days and 2 nights depending on your schedule, our 3 days Murchison falls camping safaris Uganda will enable you camp in the wild for 3 Days and 2 nights. 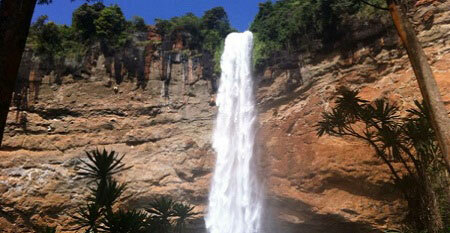 This will enable you experience the wilderness in Murchison falls national park. The game drive, boat cruise to the Murchison falls and bird watching in Murchison falls national park will make the trip colorful. Our 3 Days Murchison falls Camping Safaris Uganda starts with an early drive to the north from Kampala City via Masindi town and Kichumbanyobo Gate which is about 300km long and takes an average of 4 hrs 50 min drive to get at the park, on our way to Murchison falls national park you cross the Nile river on a vehicle ferry which runs at roughly an hourly interval throughout the day. This route is currently considered the shortest and most convenient with 175km of it being tarmac then the remaining 125km of the route is fine Murram, hence visit the top of the Murchison falls and overnight camping. Our 3 days Murchison fall camping safaris Uganda kicks off with a morning game drive that will be accompanied with birding since we come across different species of birds, then you head for an evening boat cruse to the water falls where many species of reptiles, mammals and birds will be viewed plus the amazing falls and overnight camping. Having done all the activities scheduled in our 3 Days Murchison fall camping safaris Uganda, You will Drive back to Kampala city as we mark an end to our 3 Days Murchison Falls camping safaris Uganda hence keep the amazing memories about the 3 days Murchison fall camping safaris Uganda. Price per person ranges from $215 to $330 and maximum number 6 persons, minimum 2 persons sharing. Sleeping bags and mattress in tent.